nWave Pictures giant screen film “Encounter in the Third Dimension” presents the development of 3D technology in a fun and factual manner for audiences of all ages. “Encounter in the Third Dimension” takes audiences to the Institute of 3D Technology where an intelligent, yet bumbling, professor tries his hand at creating his own 3D innovation, dubbed Real-O-Vision. 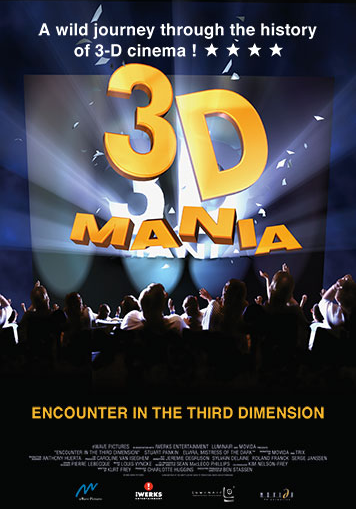 Audiences will encounter early incarnations of the third dimension, from a re-creation of one of the earliest 3D movies ever made to classic clips from Hollywood’s 3D heyday during the 1950s. With the latest filmmaking technology, nWave takes moviegoers on the wildest 3D adventure ever created for the giant screen.